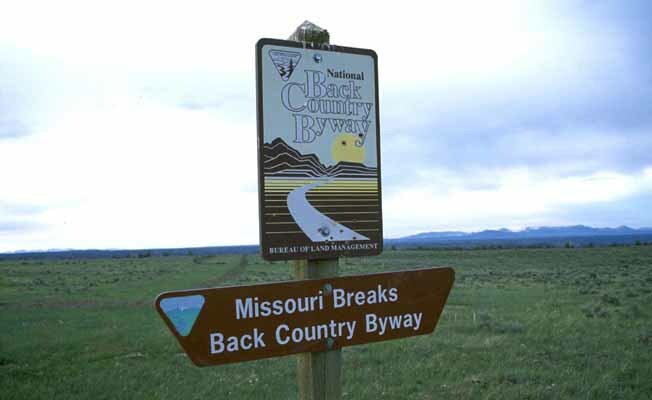 The Missouri Breaks National Back Country Byway traverses one of the most geologically unique and historically significant areas in Montana. Nature worked overtime here to fashion a ruggedly spectacular landscape that was first described by Lewis and Clark as ‘the Deserts of America.' Fur traders would later refer to this section of the Missouri River as Mauvaises Terres, the ‘Bad Lands.' The Byway leads the visitor to scenes overlooking the Upper Missouri National Wild & Scenic River. It was designated in 1976 to preserve the very values that are so abundant along the Byway. The Wild & Scenic River from Fort Benton down river to the James Kipp Recreation area is the foremost component of the Lewis & Clark National Historic Trail. The Byway northeast from Winifred to Deweese Ridge closely follows the Nez Perce National Historic Trail. The Missouri River below Fort Benton has been used for recreation for as long as Montanans have turned to the out-of-doors for relaxation during their leisure time. The area is remote, rugged, inaccessible in most places except by boat or 4-wheel drive, and often inhospitable. But, it also has its beauty and its opportunities for solitude and recreation in a primitive setting. All of these, together with the widely contrasting scenery, add to the charm that attracts thousands from around the nation and several foreign countries each year to central Montana and to the Upper Missouri National Wild and Scenic River. Float trips are an extremely popular activity along this portion of the Missouri River. One of the more attractive features about he Upper Missouri is that float trips of various lengths are possible. Boaters have a choice of launching at Fort Benton, Loma, Coal Banks Landing, Judith Landing or Stafford Ferry. They can get out of the river at any of these points or go on to the James Kipp Recreation Area. 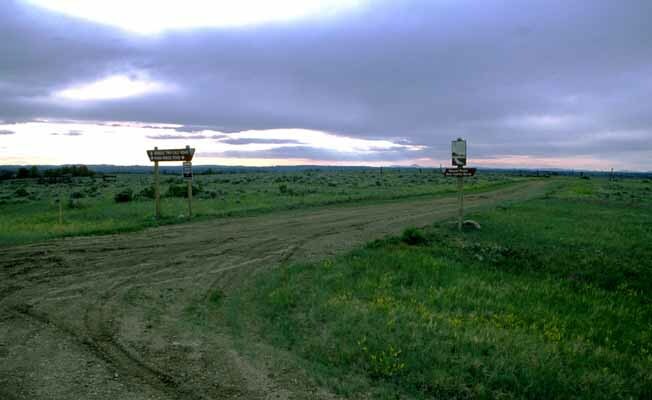 The Byway begins at the community of Winifred which is located 38 miles north of Lewistown on Montana Secondary 236. The Byway consists of gravel roads and unimproved roads that become totally impassable when wet. Check the weather, and do not attempt to travel the Byway if wet weather is threatening. Driving time is approximately 2 to 3 hours and the length of the drive is about 80 miles. The Byway leads the visitor to scenes overlooking the Upper Missouri National Wild and Scenic River. It was designated in 1976 to preserve the very values that are so abundant along the Byway. The Wild & Scenic River from Fort Benton down river to the James Kipp Recreation area is the foremost component of the Lewis and Clark National Historic Trail. The Byway northeast from Winifred to Deweese Ridge closely follows the Nez Perce National Historic Trail. Under ideal conditions, a two wheel drive vehicle can negotiate the entire Back Country Byway, but a vehicle with high clearance is recommended. Large RVs should not attempt access to the Byway from Highway 191, and should not attempt the Two Calf Creek crossing or any of the side roads off of the Byway. If conditions are less that ideal a four wheel drive vehicle is recommended.